Within this simulated region of land, daytime's rising temperature and the falling temperature at night can be measured, along with heat flow in and out of the system. The amount of greenhouse gases present in the atmosphere can be adjusted through time, and the long-term effects can be investigated. A worksheet designed for Grade 10 Applied level. 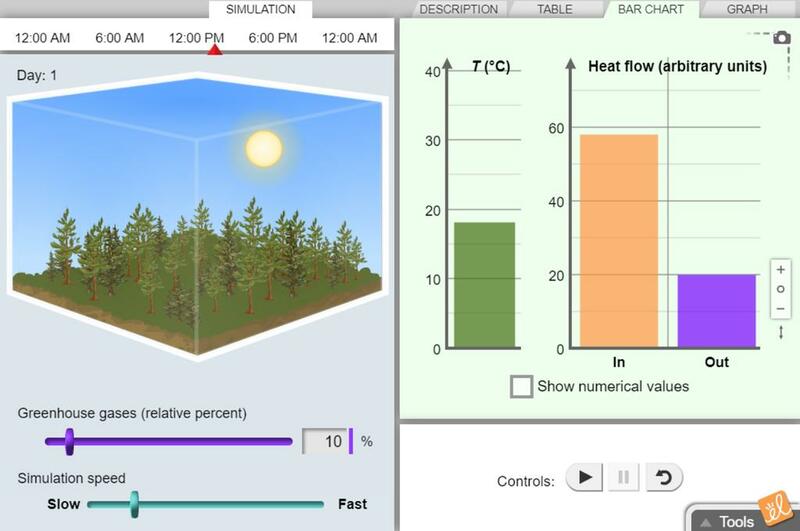 Students explore effects of changing greenhouse gas leve... (more)ls on the global temperature to discover the natural Greenhouse Effect necessary for life and compare it to Anthroprogenic Greenhouse Effect detrimental to life.